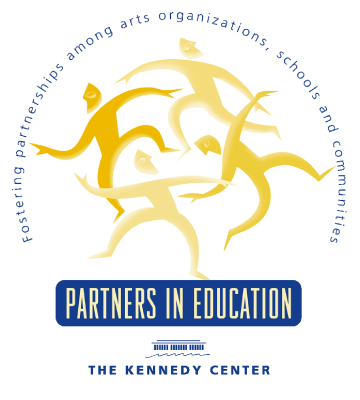 Through our partnership with the John F. Kennedy Center for the Performing Arts the Red Bank Borough and Fair Haven School Districts, the ever growing population of primary and middle school teachers are being empowered with professional development tools to integrate the arts into their core curricula. Through the arts, teachers learn how to foster the four critical skills necessary for our children to succeed in the 21st-century workforce: collaboration, flexibility, imagination, innovation. One of our most recent Kennedy Center professional development workshop was entitled, “Poetry and Music: Part 1 Sound-Writing: Exploring Rhythm, Reading, and Writing” conducted by Heather Burt. This approach to reading and writing brought music and rhythm to the classroom focusing on an ELL population. In each session this workshop focused on phonemic and phonological awareness, word analysis, identifying rhyme, rhythm alliteration and patterned structures in poems, pre-writing, drafting, editing and revising original poetry and final, publishing and performing a final written product. 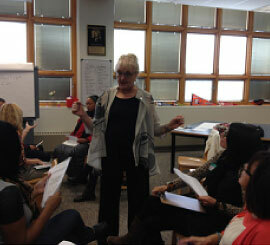 Teachers explored these techniques, and then wrote and performed their own poem with Ms. Burt. 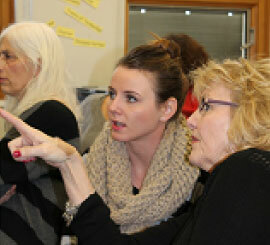 Kennedy Center Teaching Artist Judy Thibault Klevins conducted her workshop, “Exploring Points of View Through Drama: Walking in Another’s Shoes” with Red Bank Middle School teachers. Ms. Thibault-Klevins brought the teachers through a passage from Tom Sawyer and explored the differed viewpoints of the characters, details of the time and place, and possibilities of different outcomes. 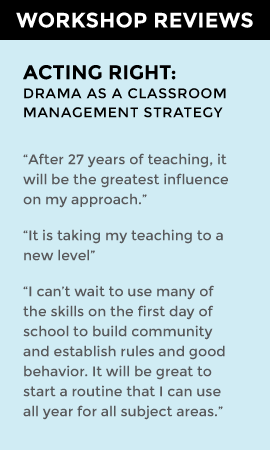 Transferring over to Social Studies and History, teachers are able to use these methods to bring to life the events and places that they teach in the classroom. Our understanding of the importance of exposure to the arts continues to be the driving motivation behind each facet of our art and education programs.